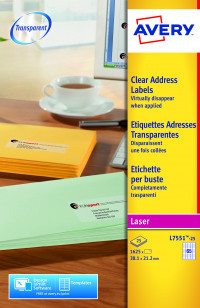 These innovative Avery clear labels enable your envelopes to stand out and look professional. By printing a return address onto these transparent labels, it will look as though you have printed directly on to the packaging for a chic, executive appearance. 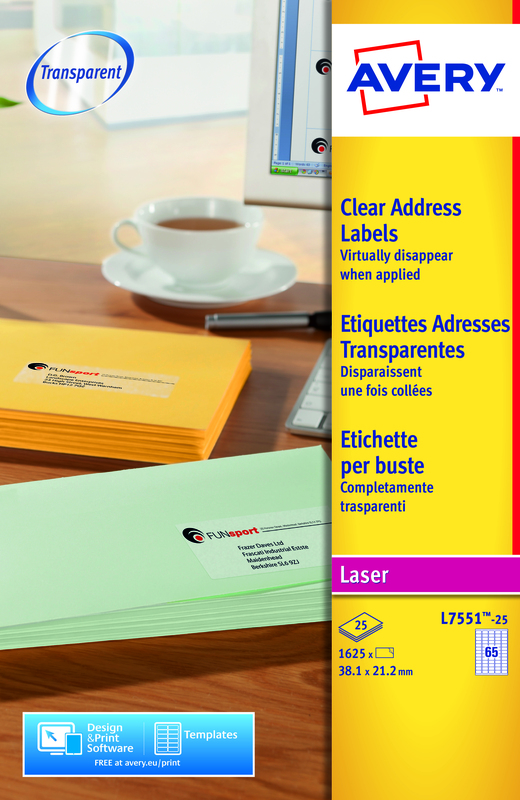 Fully compatible with the full range of LaserJet printers, you can apply them to any colour envelope and the label will virtually disappear leaving you with clean, professional addresses.